It’s that time again! We are at the beginning of a new year and waiting out before us is a whole stretch of unknown opportunities and challenges. I don’t know about you, but I’m still at the point where I’m just trying to remember to use a seven instead of a six when writing the date on things so the thought of embarking on some God-sized challenge can be more than a little daunting. But, if you’ve ever had the thought that this might be the year God is calling you to launch out into something new, the benefits and joy of following Him will far exceed the uneasiness we feel before taking that first step. If you are just getting started ministering to college students in your area, you’ll want to spend some time getting to know the types of students around you and what their unique life rhythms and needs are. No two students are the same, but often the ebb and flow of campus life on a specific campus can give you some important clues into ways that you can best structure your ministry to college students. There are lots of nuances about college life that you’ll continue to learn as you minister to college students, but let’s start by breaking down campuses into three broad categories and identify some key distinctions you’ll want to keep in mind for each one. Few campuses are 100% commuter but some campuses (especially in urban settings) may have a high percentage of commuters, which will make the dynamics of reaching those students much different from a residential campus. Commuter students often have ongoing life rhythms from high school that include church, family relationships, and work that can limit their availability to participate in campus activities. Providing programming during the day is important in order to target the times when the majority of students are already on campus. Consider late afternoons when fewer students are in class but before they have left campus for the day. Since most students don’t have dorm rooms to return to between classes, think about ways you can strategically use the down time between classes for discipling students. As education costs continue to rise, spending time at a local community college is increasingly becoming an attractive option for many of today’s students. Campus life options are often limited so having a presence on campus will really make your ministry stand out. Degree programs are often designed to only be 2 years, so the length of time students may stay at these colleges is shorter than other institutions. Many of the unique aspects of commuter campuses also apply. This is the typical college experience that comes to mind (and is often depicted in the movies). While a large portion of the students probably come from within the state, they often live far enough away from home that in most cases they are breaking many of their former life rhythms and starting from scratch. Christian students will often be looking for a new church to be a part of since they probably won’t go home every weekend. Evening programming tends to be the best option for connecting with the largest populations of students. In addition to the types of campuses you’ll encounter, it is also important to recognize that there are various subgroups of students that you might find specifically beneficial to target in your ministry. It’s worth your time to think through how your church might be uniquely designed to reach one of these demographics within the campus community. The possibilities and needs are endless, which is both exciting and daunting all at the same time. You already have a heart for college students or you probably wouldn’t even be reading this. That is the most important necessity. College students will sense that and be drawn into a relationship with you as you seek to point them to Jesus in the year ahead. 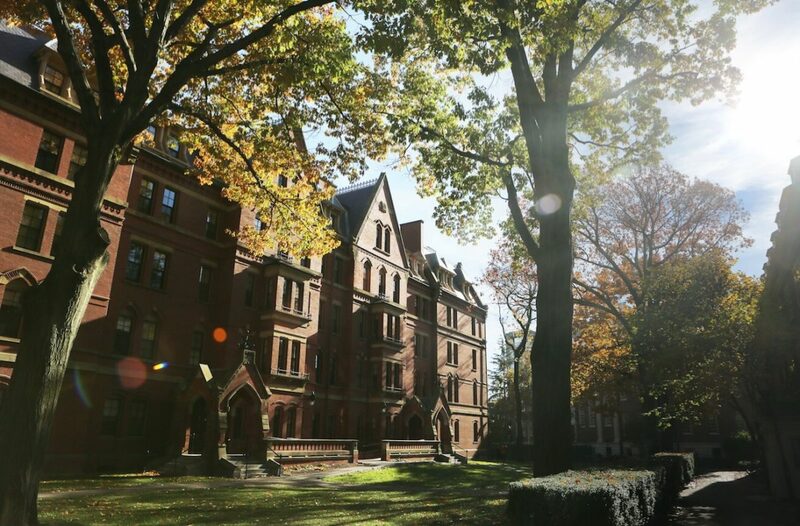 This article was a great read, we have 2 residential colleges (with commuters) as well as a community college and a commuter college all within a 10 & 20 minute drive respectively. I am the leader of a Young Adult Group, that has 5-12 kids. A few have moved away. I am the mother of 2 young adults and there is very little for them to do here in NH especially in the winter that doesn’t involve a bar. Being on my own in this ( my church is super small) looking for ideas to get the few I do have to make this group, for lack of better terms “their own”….to reach out more. Next week we are starting Mark Battesons “Chase the LIon” study. FYI. Lynn, We love hearing from leaders like you! One idea is to involve some of your more regular attenders to lead part of your weekly study: the prayer, bringing snacks, providing a music playlist to play while people are arriving, sharing a brief testimony, and planning something fun for your group to do outside of your Bible study. The more ownership they have in your activities, the better. Also, participating in some kind of Saturday volunteer service project spurs on deeper relationships among your group members. Thank you for investing in young adults!